It is extremely difficult for the body to lose belly fat unless you are determined to follow a calorie-controlled diet and exercise regularly. However, researchers have discovered that coconut oil is beneficial in reducing abdominal fat. 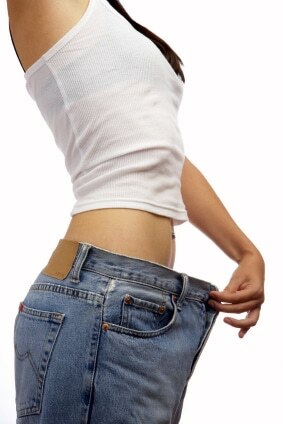 As the body ages, abdominal fat can settle around the heart organs and contribute toward middle age spread. How can coconut oil help lose belly fat? 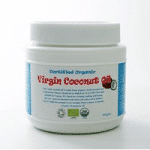 Coconut oil is a medium chain fatty acid, which means that it is absorbed by the body in a different way. The body is attracted to short and medium chain fatty acids, as this fat is readily absorbed and utilised as energy. The abdomen is the unhealthiest of places to store fat. When you begin to eat coconut oil regularly, what you may notice is slight heat in the belly. This is due to the slight rise in metabolism. Although coconut oil contains just over approximately 100 calories per tablespoon, the oil can reduce the appetite, which is another bonus. In a study of forty obese women, the women who supplemented their diet with 30ml of coconut oil reduced both their waist circumference and basal metabolic index (BMI) over a twelve-week period. The twenty obese men who took part in the study lost an average 1.1 inches after consuming the same amount of coconut oil over a four-week period. It is worthwhile to mention that neither of the men and women who took part in this study did not incorporate exercise into their daily lifestyle, nor did they follow a calorie-controlled diet. If you want to lose belly fat naturally, buy a jar of coconut oil and eat a tablespoon of two each day to enhance long term weight loss. Organic coconut oil is also one of the healthiest oils to cook with, as it will heat to very high temperatures without the risk of oxidation. Eat Fat to Lose Fat, Really?